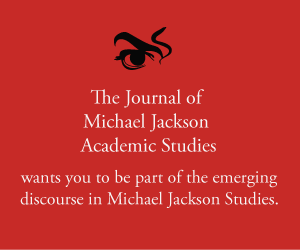 Abstract: In this episode, Karin and Elizabeth continue their discussion to celebrate the first anniversary of The Dangerous Philosophies of Michael Jackson, His Music, His Persona, and His Artistic Afterlife. In part two Elizabeth talks about the 21 lesson course that she developed to accompany ‘The Dangerous Philosophies’, what it means to have ‘The Dangerous Philosophies’ in the BL, and how a researcher mainly has to be curious. To listen to the extended version, join us at Patreon.com/mjdlo and become a member.http://patreon.com/mjdlo. Merx, Karin, and Elizabeth Amisu. 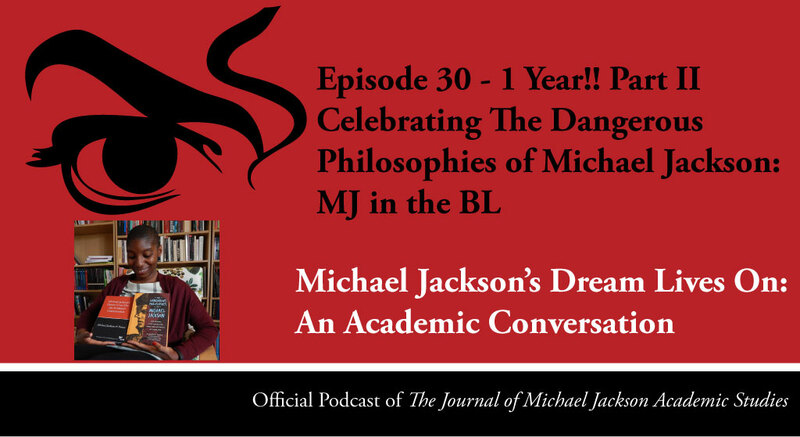 “Episode 30 – Celebrating The Dangerous Philosophies, Part II: MJ in the BL” Michael Jackson’s Dream Lives On: An Academic Conversation 1, no. 1 (2017). Published electronically 30/09/17. http://michaeljacksonstudies.org/episode-30/.